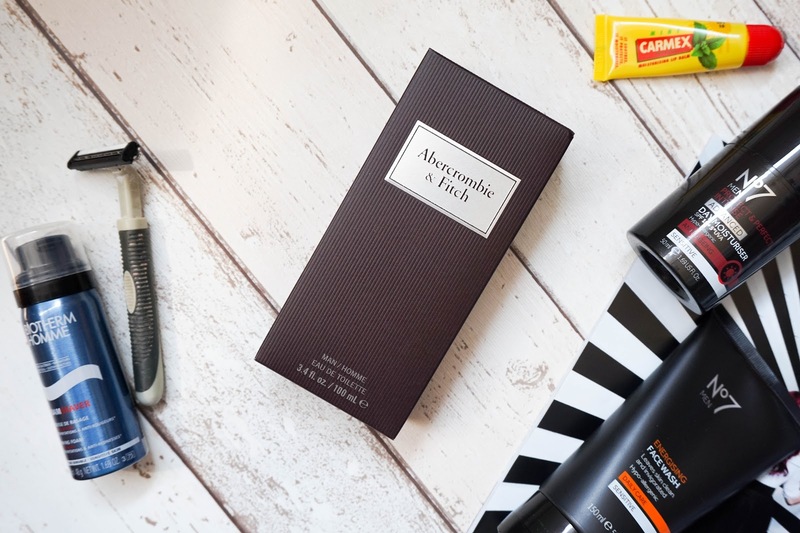 So as I mentioned above the First Instinct fragrance is not only new to Abercrombie & Fitch, but also to Debenhams along with an array of various men's grooming products. If you're in serious need of some men's gift inspiration then I seriously suggest to check out their website for some great ideas. 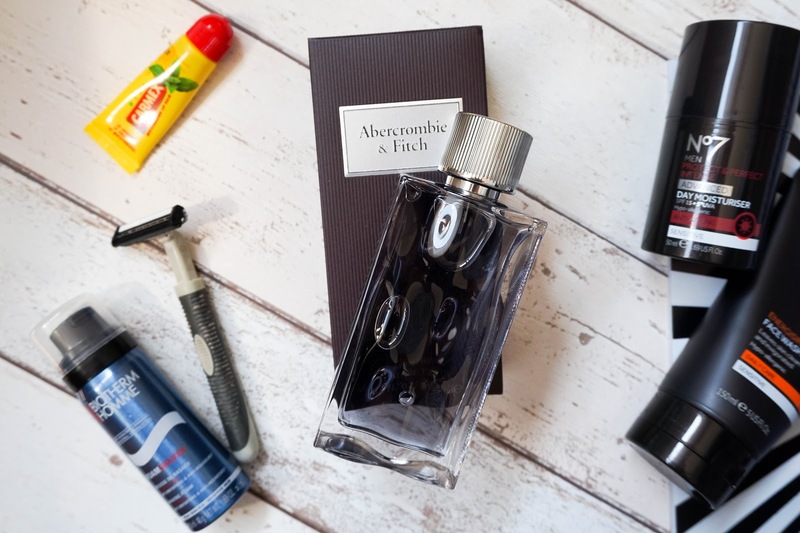 Back to the fragrance at hand, which you can actually try before committing to it since Debenhams include a free mini sample with every order. So that gives you the chance to try it out for a few days before opening the actual bottle and committing to that particular scent. Of course if you decide the fragrance isn't for you, then you will be able to return your unopened products at your local Debenhams store (if that's not a great idea I don't know what is). 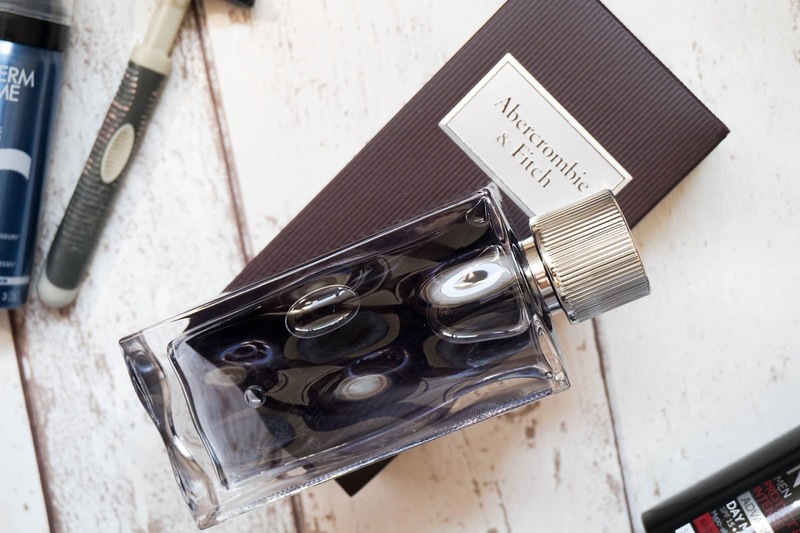 First of all I just love the packaging of Abercrombie & Fitch First Instinct, as soon as I opened it up it made an impression on me. 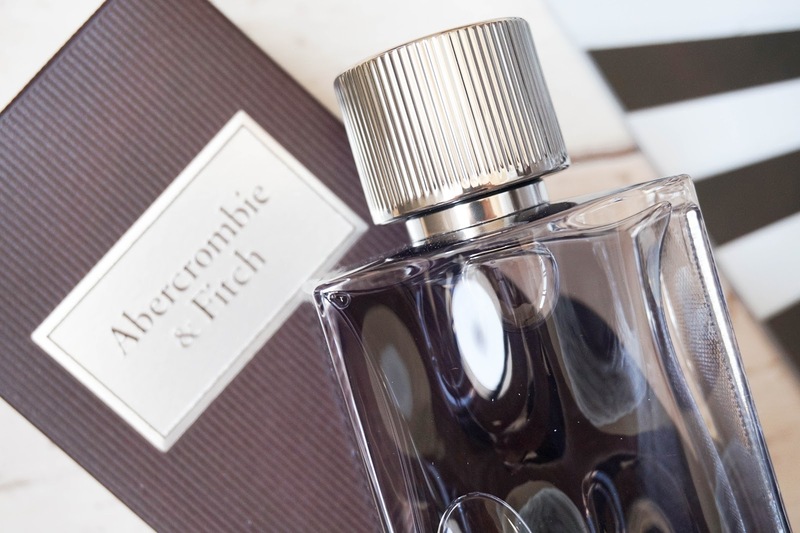 The clear glass bottle not only has the appearance of a wave-like motion, but also displays a silver plate with the brand & fragrance name, completed with a silver cap. I've only tested the product on myself once, as I am saving it for David, but as soon as I sprayed it on I could sense warm spicy notes. There's top notes of gin, tonic, melon, citrus & Sichuan pepper, which would explain why I'm kind of attracted to the scent overall. The brand wanted to create "a modern fragrance that balanced both the fresh elements of fougère with oriental warmth, for a worldwide appeal". I have to say that I think the brand got it right with this fragrance and it's exactly as described, I'm sure my other half will enjoy using it.